God, we love Amarone. We never get to drink much of it, however, but that may change with this 94-pointer, utterly packed with deep, intense flavor that miraculously melds bright red fruit and dark, exotic mocha seamlessly. So much fun to spend time wrapping your head and mouth around....wow! 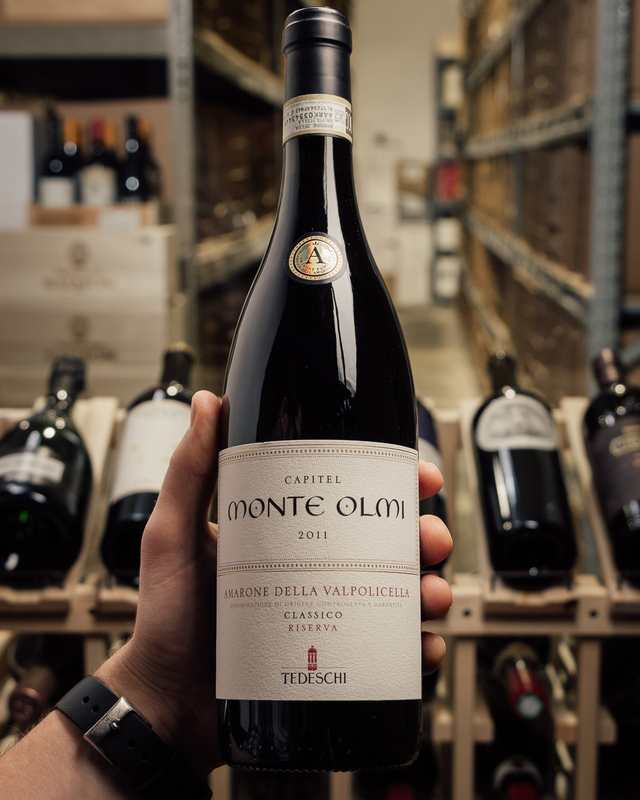 The Tedeschi family boasts an almost 4-century long history in the wine business and strongly believes in the importance and richness of Valpolicella wine production. They respect the profound tradition as well as embrace modern techniques and innovative production methods to create what they feel is the best possible wine. Their work is primarily focused in the vineyards and the care of the vines. Due to their constant commitment in the vineyard and the cellar, the Tedeschi's wines have become the stuff of legend. Very ripe morello cherries, dark plums, cigar box, kirsch and stemmy undertones, but also orange rind and plenty of floral elements. Full body, powerful and grainy tannins and a dense yet driven finish. Extremely pure fruit. This is always reserved and beautiful. Drink in 2020.